A growing number of ISPs, content providers and carriers are now using a strategy called peering, which enables companies to access multiple networks over a single connection. This helps to reduce network costs, increase redundancy and improve performance. 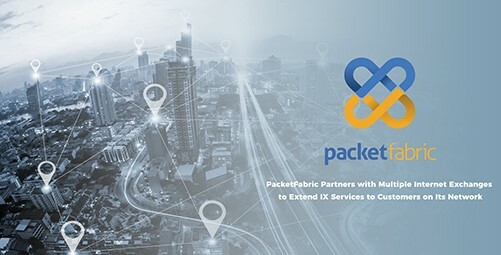 Businesses can gain easy access to high quality peering services by working with a company such as Amsterdam Internet Exchange (AMS-IX), a global organization that recently signed a memorandum of understanding with PacketFabric to interconnect their services. This new initiative allows AMS-IX Internet Exchanges (IXs) in New York, Chicago and the Bay Area to access PacketFabric’s network technology, enabling access to AMS-IX from 130 more locations on top of the current connectivity methods. New and existing customers will be able to access AMS-IX Bay Area, Chicago and New York through PacketFabric’s extensive network following a technical implementation in August, 2017. The AMS-IX platform offers peering and IP interconnection services for all types of network traffic, including VoIP, traditional data, video or mobile traffic. Networks can provide end users — including businesses and consumers — with fast, stable and cost-efficient Internet services using peering. William Charnock, CEO of PacketFabric, also commented on the partnership. To learn more about AMS-IX, click here. To learn more about PacketFabric, click here.